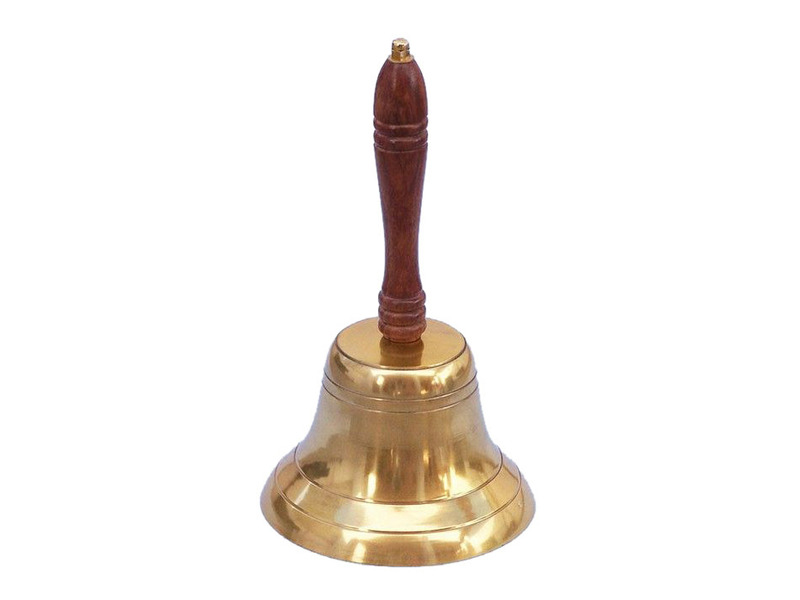 Brass Plated Hand Bell with Wood Handle 11"
With a gracefully curved wooden handle accentuating the lustrously polished shine of its solid chrome bell. 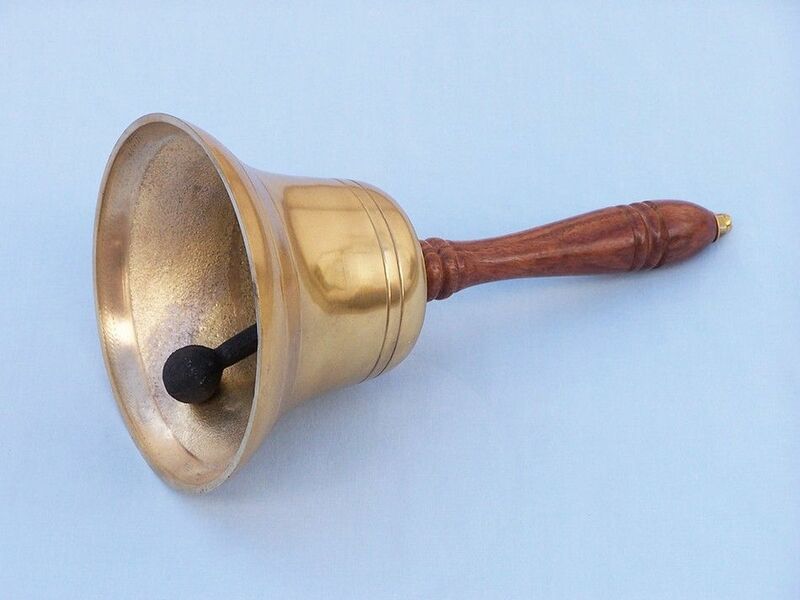 This bell is ergonomical and fits comfortably in your hand. The Brass Handbell with Wood Handle 11" is a striking nautical decoration for any room. The enticing design is complimented by a full, rich tone for this functional bell.